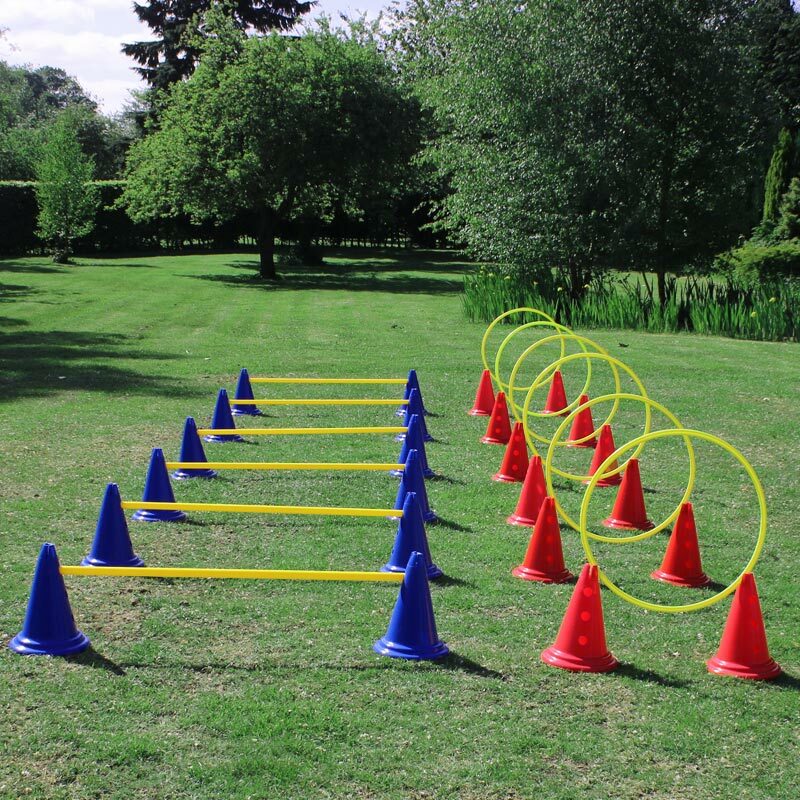 The DOGM8 Dog Agility Starter Pack is ideal for dog exercise and jump training. This pack can be used in the park or back of your garden. Bright yellow colours for high visibility. 12 x Spare Cones (Blue).